Please note that THERE'S NO LATE SEATING! In the present, on the campus of a California public university, Lupe, a Latinx theatre professor, directs a production of the 1613 Spanish Golden Age comedy, La Dama Boba (The Daffy Dame), by Lope de Vega. Personalities collide onstage and off as the company grapples with the issues of race, class, and gender raised by the play. As opening night approaches, national politics start to invade the personal lives of the company, revealing the question: Can love truly have the power to overcome differences and lead to a new kind of knowledge? Anne García-Romero is an Associate Professor in the Department of Film, Television and Theatre at the University of Notre Dame. She’s also taught at USC, Cal Arts, UC Santa Barbara, UC Riverside, Loyola Marymount University, Macalester College and Wesleyan University. Her areas of specialization are playwriting, screenwriting, dramaturgy and Latinx Theater Studies. Her article on Latina playwrights is published in the Latin American Theatre Review. Anne García-Romero’s plays include: Mary Domingo, Provenance, Paloma, Earthquake Chica, Mary Peabody in Cuba, Desert Longing, Juanita's Stature, Girlus Equinus and Santa Concepcíon. Her plays have been developed and produced most notably at the New York Shakespeare Festival/Public Theatre, the Eugene O'Neill National Playwrights Conference, The Goodman Theatre, The Mark Taper Forum, Hartford Stage, Borderlands Theater, National Hispanic Cultural Center, Nevada Repertory Company, and South Coast Repertory. Her plays are published by Broadway Play Publishing, Playscripts, NoPassport Press and Smith & Kraus. Ms. García-Romero has developed a screenplay adaptation of her play, Mary Peabody in Cuba, with actor/director/producer, Andy Garcia. She has also written for Peninsula Films, Elysian Films and Disney Creative Entertainment. She is the U.S. translator for the internationally acclaimed The Grönholm Method by Spanish playwright, Jordi Galcerán. She is a founding member of the Latinx Theatre Commons, where she contributes to The Fornés Institute. She is also the coordinator of the Fornés Playwriting Workshop in Chicago, sponsored by the University of Notre Dame. Ms. García-Romero holds an MFA in Playwriting from the Yale School of Drama, a Ph.D. in Theatre Studies from the University of California, Santa Barbara, and is an alumna of New Dramatists in NYC. She is a Resident Playwright at Chicago Dramatists. Risa Brainin is a freelance director and Chair of the Department of Theater and Dance at University of California, Santa Barbara. 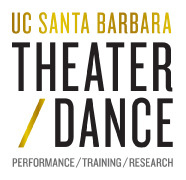 As Founder/Artistic Director of LAUNCH PAD at UCSB, she has developed and directed many new works with the playwright in residence including Sarah Ruhl’s Melancholy Play, John Walch’s The Dinosaur Within, Barbara Lebow’s Plumfield, Iraq and La Niñera: The Nursemaid, Sheri Wilner’s Kingdom City, Biederman’s Match (based on Max Frisch’s Biederman and the Firebugs) by Beau Willimon, music by Michelle DiBucci, lyrics by Portia Kamons, Entangled by Lila Rose Kaplan, Untitled IV by Ruth Markofsky by Alison Tatlock, The Talented Ones by Yussef El Guindi, We Want the Funk, a rustbelt lullaby on the one! by Idris Goodwin, and Appoggiatura by James Still which was workshopped at the Perry Mansfield New Works Festival in 2013 and the Colorado New Play Summit in 2014, and premiered at Denver Center Theatre Company in January, 2015. LAUNCH PAD was featured in American Theatre magazine for its innovation and contribution to new play development. Other directorial credits include plays at Syracuse Stage, Kansas City Repertory Theatre, Alabama Shakespeare Festival, American Players Theatre, Actors' Theatre of Louisville, Milwaukee Repertory Theatre, Great Lakes Theatre Festival, Portland Stage Company, Actors' Theatre of Kansas City, New Harmony Project, the Leon Katz Rhodopi International Theatre Lab in Bulgaria, Shakespeare Festival of St. Louis, Idaho Shakespeare Festival, Lit Moon World Shakespeare Festival, Ensemble Theatre, Repertory Theatre of St. Louis, Clarence Brown Theatre, Commonweal Theatre, TheatreSquared, and the Red Bull Theatre. She directed the premiere of Bob Stromberg’s That Wonder Boy in Minneapolis, Des Moines, Connecticut and the United Solo Festival in NY (WINNER: United Solo Fesival and Backstage Award, Best One Man Show and Best Direction, 2015) and Annie Torsiglieri's "A" Train also at the United Solo Festival in NY (WINNER: Best Production, 2017). Over ten years in the Twin Cities, Ms. Brainin directed for many companies including Mixed Blood, Illusion Theatre, History Theatre, and the Cricket Theatre. Featured in American Theater magazine in 2013 as an innovative model of new play development in the USA, LAUNCH PAD is a high-tech lab for playwrights-in-residence, aspiring theater students, faculty and guest artists. Led by founding Artistic Director Risa Brainin, a new play is developed each year. The residency culminates in a full-scale "preview production" as part of the Departmental season. With a mix of student and professional actors, LAUNCH PAD is collaboration and experimentation at its finest, providing the missing link in new play development between a reading/workshop and a professional world premiere. Nationally acclaimed playwrights Lila Rose Kaplan, Barbara Lebow, Sarah Ruhl, James Still, Alison Tatlock, John Walch, Beau Willimon and Sheri Wilner have participated in LAUNCH PAD since its inception in 2005. Plays developed through LAUNCH PAD go on to be produced at professional theaters across the country.